May is National Moving Month, and it’s the kickoff for the start of the busy summer moving season. As kids get out of school and the weather warms up, families planning a move are making their preparations—but they aren’t the only ones making plans. Disreputable moving companies are scheming and getting ready to take advantage of those who haven’t done proper research when choosing an Albany moving company. You’ve heard the horror stories: hugely inflated invoices, belongings held for ransom, lost and stolen items, and the list goes on. It’s scammers like that who make it absolutely necessary to do your homework when choosing Albany residential movers for your move. Here are some tips for screening moving companies in Albany so that your summer relocation will be a pleasant experience! It might be the lazy days of summer, but you do not want to slack off when it comes to reserving a moving company for your warm-weather relocation. Since more moves happen during the summer than at other times of year, it’s not uncommon for the best movers to be reserved weeks or months in advance. 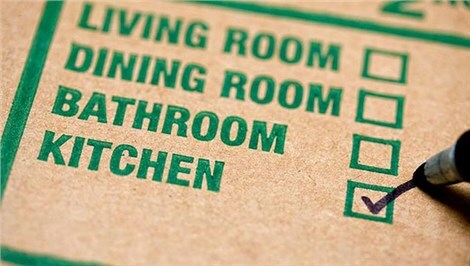 As soon as you have your moving date, reserve your first choice of Albany movers! While you should reserve early, you don’t want to do so without properly researching the company first. Should you get caught up with a disreputable company, you might get your money and belongings back—eventually. Even if you do, it’s definitely not worth the headache just to save a few bucks. That’s why it’s buyer beware! The onus is on you to research household moving companies in Albany and choose one with a solid reputation for quality, professional service. Price matters, but it isn’t everything. When you compare prices, you also need to compare services. For example, one mover might quote a price that doesn’t include packing materials and that requires you to do most of the packing yourself. You can’t compare that quote to one that includes full-service moving and all boxes, crating, and other materials. A shady mover won’t point out these differences, so you’ve got to read the fine print. It’s just not possible to provide an accurate price quote by phone. That’s why Don’s Moving & Storage provides free, in-home estimates. This allows us to give you an accurate price quote and avoid unpleasant surprises on your final invoice. Do you offer full packing services? Do you have experience with specialty packing? Do you have a list of references or customer reviews? Are all of your movers licensed and insured? Don’s Moving & Storage has a long-standing reputation of providing quality moving services and exceptional customer care. Our motto is, “No problem!” For our customers it’s always no problem to provide the services they need at a price they can afford. Since 1952, we’ve been the top choice for moving companies in Albany! As you’re planning your summer move, take a look at our customer reviews and then give our family-owned business a call! Because we’re a Wheaton World Wide agent, we can handle your relocation whether you’re moving down the street or across the country! Call Don’s Moving & Storage to speak with a relocation specialist or fill out our online contact form for your free, no-obligation estimate!